Kind of lost my blogging mojo but then everything goes off here when the fibromyalgia kicks in! 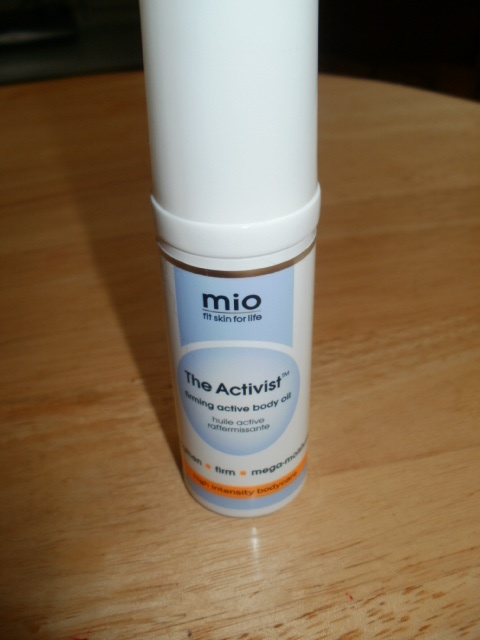 So gonna make an active effort to try and get some blog posts back in action ..
My first product is Mio The Activist Firming Body Oil! Their Motto is Fit Skin For Life! The Activist is a very potent super-food for very dry, stressed skin. it also improves skin tone, fades stretch marks, restore balance and strengthen your skin and keep it supple, soft and healthy! This oil is a very potent super-food for skin .. packed full of antioxidants, essential Omegas, lots of Vitamin C, Carrot Seed, Cranberry Seed, Argan , Vitamin E and coconut oils to name a few, all used in the product at the maximum percentage they can use in their products. A lot of the oils are organic and pure and all high quality. I am so impressed with this oil, after just a couple of uses there is a marked difference on the skin on the top of my arms! No matter what I was putting on my arms they always still felt a bit dry. Now they feel velvet soft and the skin does feel a lot more plumped up and yep .. skin does feel firmer and more supple. It is fantastic on my upper arm area where I have been really testing it a part of the body most women struggle to keep firmed and toned. It is the perfect product for mature skin that needs those essential fatty acids and oils to keep it hydrated and healthy! Of course it is not just for your upper arms this is just where it was obvious to me to test as it is the part of my body that I would be able to see a marked difference very quickly. Also good on tums, bums, thighs or anywhere you want to improve tone,texture and hydrate. Not only is the Firming Body Oil super hydrating it is also great on skin-tone, stretch marks and over all skin health. 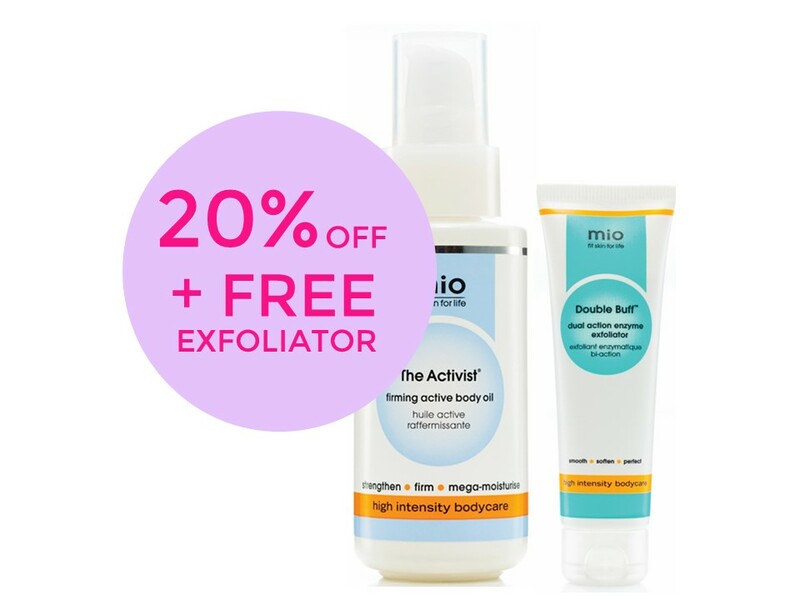 Mio say this is the best multi purpose antioxidant oil you will ever use and I agree it really is a pretty darn amazing product. I have used many oils that just sat on my skin and did nothing for it really, just sat on the surface making it feel oily. 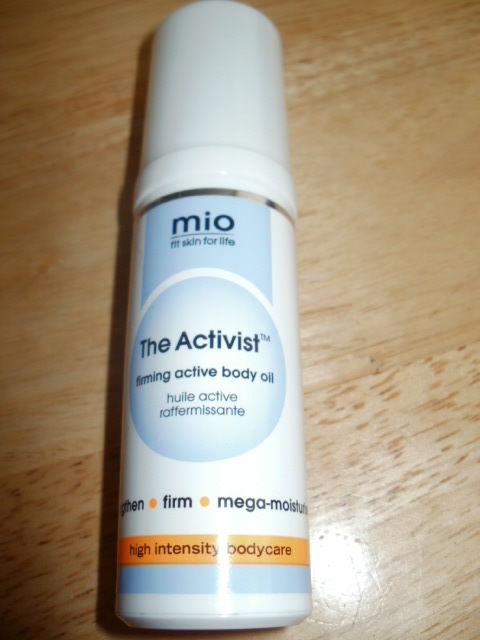 But this Mio Activist Oil is very different. The Activist oil really works, my skin feels supple, firmer and a lot more hydrated.It sinks in really well and has a beautiful light lemon fragrance .. lovely and refreshing! This entry was posted in Health and Beauty on September 4, 2015 by the40somethingbeautyblogger. I’ve only just started using oils – I avoided them in the past as they made me feel greasy but I am loving the Nuxe oil – this sounds great too! I agree and i was the same. Some of the carrier oils companies use are the cheapest they can get and way too heavy so they just sit on the surface. Not this blend of oils tho, it really sinks in. Love the Nuxe oil too and the scent ahhhh like a walk on a hot beach! This sounds fab – the tops of my arms always need a little help! This is a really fantastic combo!